In ‘Tolle Lege: A Brief Response to Paul Helm’ (Reformation 21) Scott Oliphint essays a rejoinder to the original article, 'What motivates Oliphint's proposals?' Here is my reply. Thanks to Scott for his comments and the kind references to myself. Maybe not a lot more can be gained by going over the points of difference between us and any real or not so real misunderstandings that there may be. Nevertheless, I’ll take the opportunity to clarify the main points as plainly as I can. 1. By ‘classical theism’ I mean (for example) the following statement of the Westminster Confession on God. 2. What I said in John Calvin’s Ideas about changes in belief seems defensible. Apart from the evidence of regeneration and new life a person has no reason to believe that he is eternally loved by God, and has some reason to believe that he is not; if he comes to have evidence that he is regenerated then he is provided with good reason to believe that he is. If so, has God changed him? Of course, he has regenerated him at t2, a state that he did not enjoy at t1. In doing so, has God changed? No. 3. I’m still puzzled by Scott thinking that accommodated language such as ‘God is angry with X’ means or implies ‘The Lord is not angry but X is angry’. ‘The Lord is angry with X’ also entails that ‘The Lord expresses anger at X’. Whether X is angry or not when God so expresses anger is another matter. In fact I find it hard to imagine that if the Creator-creature distinction is taken seriously, there can be anything other than accommodation, which includes theophanic appearances. Vos’s remarks reproduced by Scott are along this line. Think of how variously a human being can express his thought: why deny to God a parallel variety? If I express my doubt by shrugging my shoulders rather than by saying ‘I doubt that’, and speak differently to adults and children, and to the French, why does that necessarily convey falsehood or be in any other way off-centre? 5. Finally, I re-emphasize the central problem. Scott appears to argue that the Logos’s taking on human nature at a point in history warrants us in saying that the second person of the Trinity possessed in the OT at least some of such properties, 'covenant properties', as later he has in virtue of being incarnate. To begin with, such a suggestion seems speculative. Hardly strong enough to hang a substantive theological point on. But in any case, in working out his claim Scott is still faced with this problem – the covenantal properties which the eternal, omniscient Logos takes on: are they divine properties or human? I suppose not divine properties, because they are contingent, and I think Scott means that the other two persons don’t possess them. The Incarnate Logos’s covenant properties (e.g. being ignorant of the future) are so in virtue of his union with human nature. So if the Logos reveals such properties in the OT, which Scott says are proleptic of the Incarnation, then it seems that they also must be human, contingent, creaturely properties. But are they? In any case we ought not to think that in the OT the Logos took on anything that would compromise the omniscience of his divine person. On the other hand, if the covenantal properties are divine properties, then Father, Son and Holy Ghost each and together know what the Incarnate Son does not know. (But then what happens to the unity of the Trinity?) Scott does not show how taking on 'covenant properties' is possible, that is, how the adoption of such properties amounts to a logically coherent possibility. So let us summarise this in the form of a dilemma: Either the 'covenantal properties' identified by Scott are creaturely or they are divine. 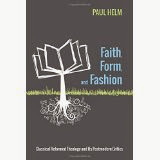 If creaturely then they are possessed by God contingently, and the Logos, being God, nevertheless has human properties. This impairs the divine unity. If the 'covenantal properties' are divine they are necessary and God is both essentially omniscient and essentially ignorant, or perhaps the incarnate Son alone is essentially omniscient (being true God) and contingently ignorant (being true man). Are we improving things? In view of these manifest difficulties it is much more straightforward to retain the age-old notion of divine accommodation; ‘In the past God spoke to our forefathers through the prophets at many times and in various ways, but in these last days he has spoken to us by his [incarnate] Son’. We’ve been looking at ‘classical theism’ and at some of the qualified and modified theism currently being advocated as Christian orthodoxy. Does what we have discovered amount to a trend or is it merely a coincidence? How many theologians does it take to make a trend? We have not sampled what Wayne Grudem or Millard Erikson or Michael Horton say, and a study of these theologians would certainly be relevant to answering that question. But in the case of Rob Lister (and Bruce Ware), Scott Oliphint and John Frame there is a remarkable convergence. Trend or not, it is worth asking what explains the three whose views we have looked at to move in this direction. What is the theological motivation? To try to answer that question we begin with Scott Oliphint. In his case a chief motivation is the development of a covenantalism, or a fully covenant theology, under the motif of divine condescension, the ‘coming down’ of God, first in creation, and then to visit and to redeem his people. The question is, what does such condescension imply? Oliphint takes the word, I presume, from the WCF’s chapter ‘Of God’s Covenant with Man’ (VII). A covenant involves ‘some voluntary condescension on God’s part’. But there is no suggestion in the Confession at this point, or elsewhere for that matter, that such condescension requires God to adopt ‘covenantal properties’, such as the property of being ignorant of certain things, and being changeable, in order to execute proper covenantal condescension. Besides God’s essential properties, those in virtue of which he is God, we also can identify ‘covenantal properties’. God takes these on not only in the actual economy of his covenant with Abraham, say, but in the very act of creation. As a consequence Oliphint faults Aquinas and Stephen Charnock, (188-9) and the tradition they represent, who each held that creation implies a change in what is other than God, but not a real change in God. Not so, says Oliphint, once God has decreed the creation that decree issues in changes in God, (indeed the decree is itself such a change), not only in what he creates ad extra, but through his covenantal properties. These are akin to the changes in the life of the incarnate Logos. Let us consider first the character of these covenantal changes so far as they respect God’s knowledge and then what is involved in ‘taking on’ such properties. Take, for example, Oliphint's treatment of God saying of Abraham after his obedience to sacrifice Isaac, ‘Now I know….’, (Gen.22.12) understanding that this an expression of God’s coming to know what previously (before Abraham obeyed) he was literally ignorant of. Being ignorant, and then learning, are according to Oliphint, covenantal properties. We must interpret the divine affirmation in this way, he thinks. God learns things, even though as the eternal God he is unchangeably omniscient. The two 'modes' of being God, being God timelessly eternal, and being God in time as he takes on these novel properties, is central to the theism of the covenant, according to the author. To put the point baldly, for God to eternally decree to express anger in the morning but not in the afternoon is to eternally decree a change over time, but it does not follow that God is in time, and that the change from the absence of anger to anger is a change in his own life. The change is a change in the course of the cosmos. Nor does it follow from God‘s eternity that he is both eternally angry and eternally not angry. Much less is it for us to be angry, but rather to suffer God's anger. 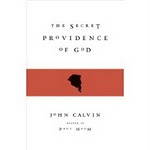 No one has maintained that assertions about God's anger, are about the affective states of his creatures, but that God represents himself to us as one 'kindled', as Calvin quaintly put it. If the concern is over the classic view of divine simplicity and how that can issue in diverse expressions, of divine anger and divine love, say, or anger at one time and not at another, then the answer that Charnock and the tradition more generally give is that in his wisdom God’s glorious essence is expressed as intentional anger in a situation having certain features, intentional love in a situation have other features, and so on, according to his purposes. Oliphint seems to think that taking on covenant properties is possible because while God’s eternal attributes are necessary, covenantal properties are contingent, freely adopted. So his readers are offered a ‘covenantal hermeneutic’ which he thinks gives him the ability to handle otherwise difficult texts. But I don’t think that distinguishing covenantal divine attributes from eternal attributes in this way helps the logic, if the covenantal God and the eternal God are one God, though a logical difficulty may not trouble the author. ‘Learning’ is logically inconsistent with being omniscient, for an omniscient being knows all things, and does and cannot learn anything. The fact that God’s learning is contingent, 'taken on', while being omniscient is necessary, matters not, apparently. Nevertheless, the logical inconsistency remains: God doesn't learn and does learn. The covenantal God is both omniscient and also a God who, in engaging with his people in covenant, literally learns things about them as he did, in Oliphint’s understanding, in the case of Abraham’s willingness to sacrifice Isaac. This God, who learns in time and so changes and knows eternally, and so does not change, is one God. But there is a deeper incoherence than this. Such a God is omniscient, for he is essentially so, as Oliphint holds, yet in respect of his adoption and employment of covenant properties he learns. What does he learn? He learns what he already knows eternally. He learns that Abraham will be faithful to his command, as part of his relationship with him as a ‘condescended’ God. But as the eternal God he eternally knows what the outcome is, for he has decreed it, and so he knows eternally what as the covenant God he first did not know and then comes to know? Is this coherent? Does it matter if it is not? One problem that remains is the status of the covenantal properties that God takes on. Are they a new nature? That may be too much, for they obviously have creaturely features, they are properties similar to those that creatures possess necessarily in virtue of their creatureliness and occupancy of time and space. A kind of forerunner of the Incarnation, God takes them on as a set of contingent properties, not a nature but a kind of creature-like visage. So we come to consider the place of the Incarnation in all this. It is the establishing of that union, and all that it implies, which is the act of condescension. And, as far as Chalcedon is concerned, this is a union between God in se, in the person of the Logos, and human nature, not between Oliphint’s novel construction, a God who has taken on covenantal properties, and human nature. It is this union between God who is unqualifiedly eternal, and human nature, that for Chalcedonian theology makes the incarnation truly and amazingly condescending. In the person of his Son, God is united to human nature, which is creature, with the limitations of a creature. In respect of that nature, he does not know the future, for example: in respect of his human nature he learns what he did not know, and remains ignorant regarding some other matters. So for Oliphint, God is doubly ignorant, ignorant on account of taking on divine covenantal properties and, in the Incarnation, ignorant on account of taking on a truly human nature. But then there's the 'other' God, the timelessly eternal God who knows everything, including what the 'covenantal' God does not yet know. Yet, the two Gods are one God. Can a ship with such holes beneath the water line make it safely to port? So Oliphint is implying that in the case of the incarnate Son it must be that he has three cognitive conditions - as eternal God, as God who takes on covenantal properties and who really changes in time, learning things, and as Incarnate, having as the eternal God, a human body and mind, and so could see things - a sparrow, say - move into left eye-shot and shortly thereafter move out of right eye-shot. Something that neither an eternal God nor a covenantal God could ever do. Has Oliphint thought carefully enough? In cases such as this, where a theologian proposes a serious modification to our understanding of God as timelessly eternal, by introducing a new category, that of a God who takes on ‘covenantal properties’, it is worth asking: if this is how it is in respect of time, what about space? For the Mediator took up space. Does the covenantal God have spatial properties when he speaks to Moses at the burning bush, say? Are the expressions we routinely take to be spatially anthropomorphic in fact (for Oliphint) literal descriptions of the covenant God? Eliminating anthropomorphism involves thinking of God presenting a face, a shape, and occupying multiple discrete locations. What is the hermeneutic for these? Do his facial expressions change as his mood changes? Has anyone seen the face of the covenant God? 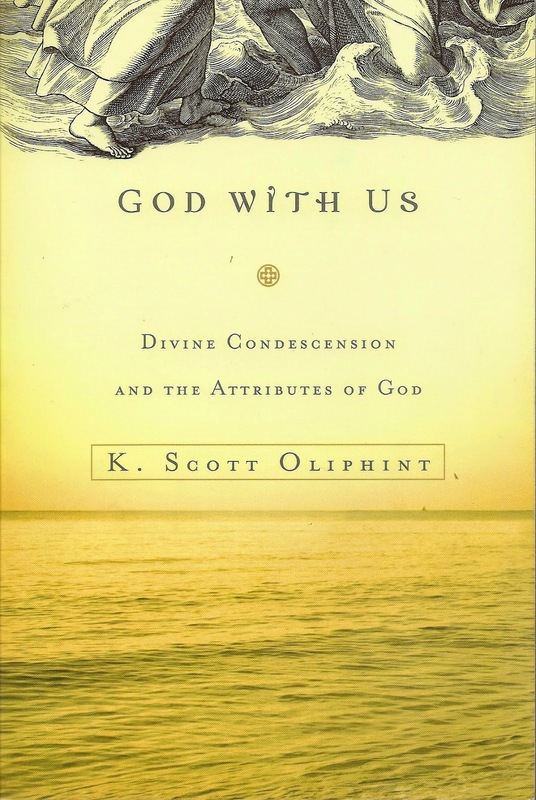 Is Oliphint arguing that God takes on human-like noetic properties while remaining wholly spiritual? If so then anthropomorphic language regarding such a God would still be necessary. As we have seen in number of places in God With Us Scott Oliphint invokes Chalcedon. But has he thought through the consequences of doing so? Has he thoroughly worked out the reading back into the doctrine of God of the Incarnation and of ascribing covenantal properties to God? ? Are there no unintended consequences lurking? Next in this series will be a discussion of the John Frame position and what motivates it theologically. Frame's modifications to classical theism are interestingly similar to Oliphint's outlook, and may be said to pave the way for it.